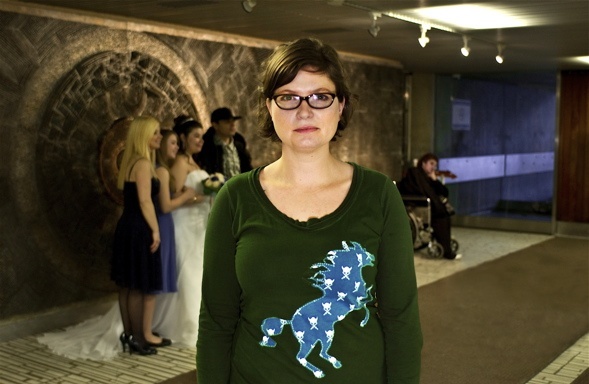 I've been writing the 'Toronto Portraits' for blogTO for just under two years now. It's a series in which I profile up-and-coming artists (ballerinas, painters, singers, playwrights...) and ask them about their work and relationship to the city. But, with me set to spend some time away from the city and the column, I thought it'd be a good time to share some of the highlights of these interviews. The original idea for the Toronto Portraits was that it was to be a photography-centered format. I would shoot an emerging artist in a different neighbourhood each week and include a few lines about who they were and the kind of work they do. But it quickly became clear that the blogTO readers wanted to know more about the featured artists, and more in-depth interviews were required. As I wrote and photographed for the column I had to keep up with my own work in film and theatre. Even though I haven't always been able to get out as many portraits as I'd like -- there are a lot of talented people in Toronto struggling to make a living in the arts -- the experience has been rewarding. Here are a few of my favourite stories. Mike Mendes, designer. King and John St.
Mike is a professional animator who puts his spare time and energy into raising awareness about the homelessness problem in Toronto. 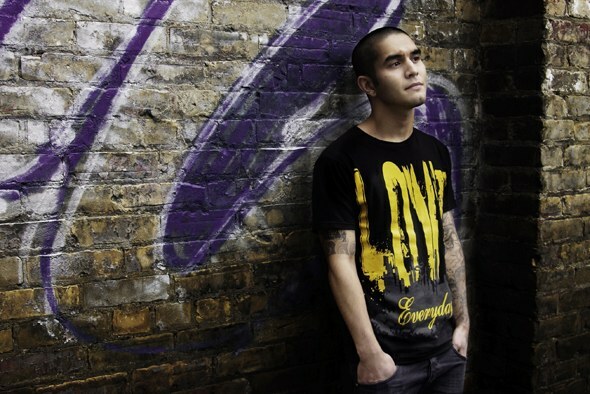 He started a non-profit clothing line called 'Love Everyday' to help support his friends on the street. Alison S. M. Kobayashi, filmmaker. Bloor and Lansdowne. I had a lot of fun with Alison, who was honestly one of the most charming people I've ever met. After having lunch at Dale's Restaurant (where the photo was taken) we bought pirate-themed dollar store toys, climbed the fire escapes of nearby factory buildings and took pictures on roofs. They didn't turn out all that well but the process was awesome. She's a huge talent as an actress and filmmaker. 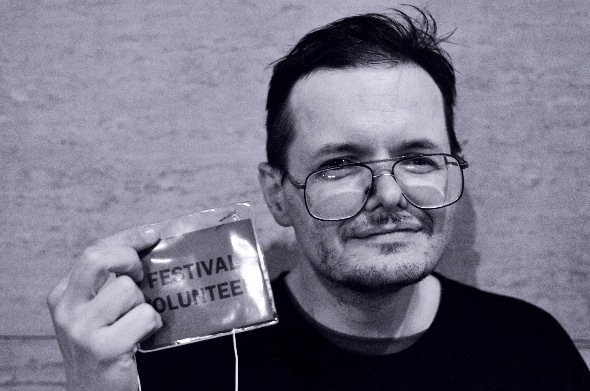 Harvey Lalonde, arts festival volunteer. The Annex. They say not to write about your friends, but I made an exception for Harvey. A Bloor Cinema regular and an amazing all around guy, who hasn't run into him at an arts festival in the city? Since I first wrote about his story he's been profiled by 'The Globe and Mail' as well. Sara St. Onge. New City Hall. I just love that there was a random wedding photoshoot going on behind Sara as we stood in the entrance of New City Hall (the weather was so ridiculous that day that we had to stay inside.) She's a big talent and a very clever, personable woman. 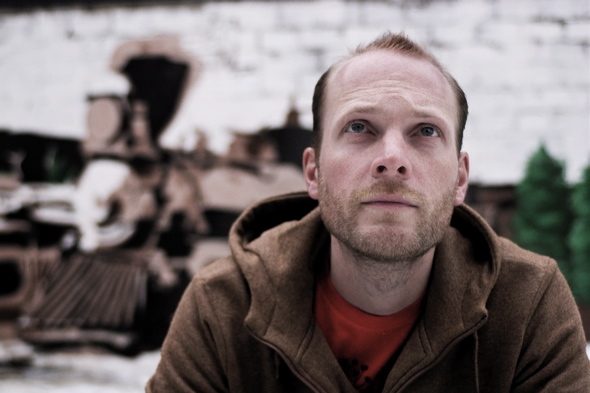 Nils Edenloff, lead singer for 'The Rural Alberta Advantage.' The Junction. I was excited to get an interview with one of my favourite Canadian musicians and take a trip to the Junction for the first time, all in the same afternoon. Nils was a really generous, sweet guy, and not put off by my fanboy-ness. I caught him just before his band went to SXSW 2009, where he became a genuine indie music star.